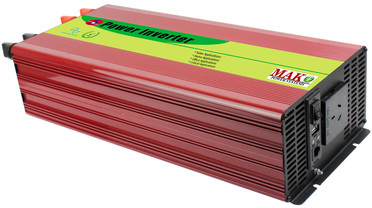 Inverter is a device or apparatus that changes direct current to alternating current. The inverter does not produce any power, direct current supply is produced the power. Inverter solutions are really necessary for the machines which work with alternating current power. Inverters also arrange the voltage and frequency values of the power and supply clean power for the systems. A power inverter can be designes as totally electronic or maybe combination of mechanical effects. All the machines that we used our daily life, need alternating current power to work. Mak Plus Power Systems is a German Company which service in the field of power electronics. Inv-Mak Line 5000 watt inverter is one of the our inverter product series which we produce in Europe according to European Standards. Our knowledgeable engineers and team design the 5000 watt inverter in Germany by using last technology drawing programs. There are alarms on the 5000 watt inverter to warn the operator there is something wrong on the progress of the inverter. The power inverters also can be used the places which there is no power. The inverters are connected to batteries or main power source, but at this point you have to be careful about choosing the correct inverter. The output of the battery or main power source must be convenient with input of the inverter. The power of the inverter is up to how many devices or machines will connect and their capacity. Inv-Mak Line 5000 watt inverters designed to be operate under the harsh environment conditions and to minimize energy loss. 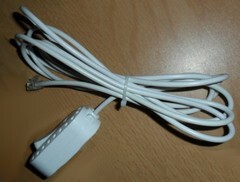 There are some protections like over voltage, low voltage, over temperature, short circuit etc. Mak Plus Power Sytems Family will be here for after sales service, too. You can connect with us, whenever you need. If you can not decide the inverter solutions which is suited with your requirements, our technical team try to understand you clearly and offer you best suited inverter solution.